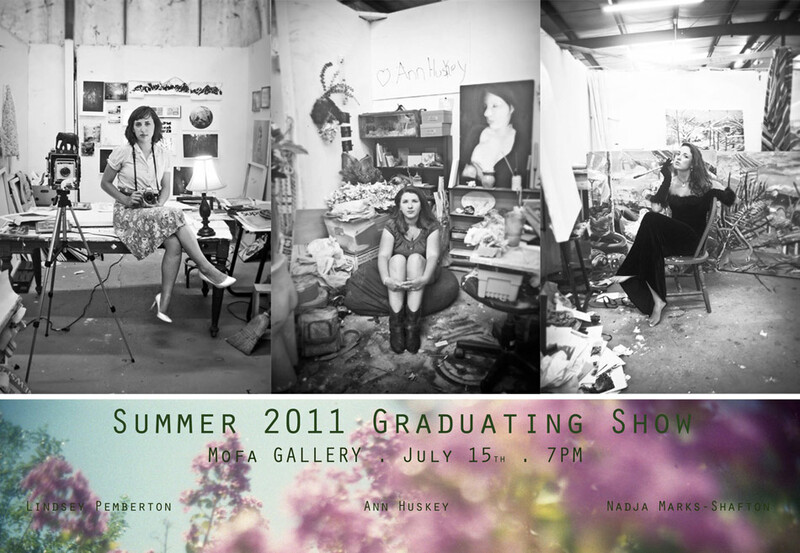 Please join us for the public reception & opening of Summer Graduating Artists, Friday July 15, 2011 from 7 p.m. – 9 p.m. in the Museum of Fine Arts (corner of Call and Copeland Streets). The exhibition runs through noon August 3rd. Exhibiting artists include graduating BFA students Lindsey Pemberton, Anne Huskey, Loren Miller, and Nadja Marks-Shafton. Museum Hours M-F 9-4, S & S 1-4 PM.